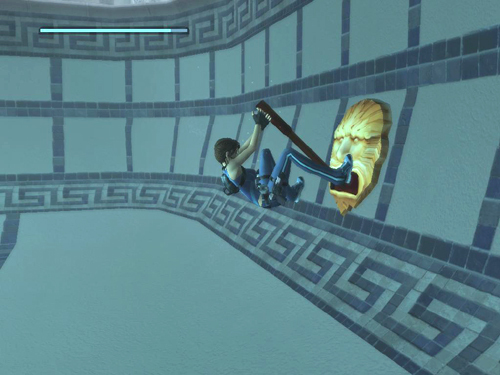 Dive into the pool again. Swim to the golden lever and use it. This opens the second underwater grate. 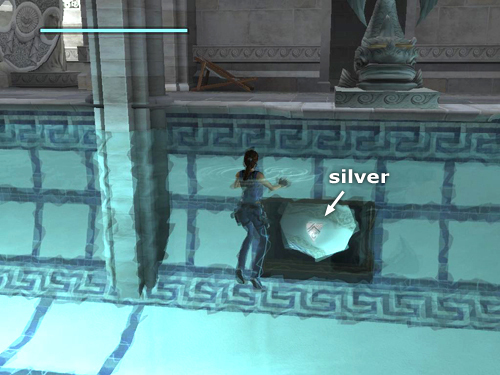 Surface, take a deep breath and then swim down into the passage to retrieve another silver reward (6/10). You may need to return to the surface for air before swimming through the tunnel to the GYMNASIUM. The grate at the other end of the tunnel opens automatically when you swim toward it. 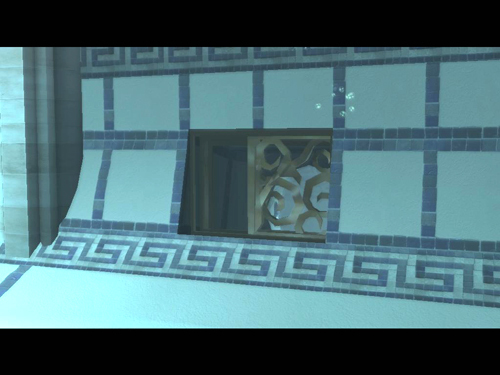 NOTE: If you're not a strong swimmer, you can also get to the gym by following the corridor back to the MAIN HALL and then going through the door to the left of the fireplace.